Who is HPE, aside from one of the biggest names in IT infrastructure? If you peel away all of the recent separations, divestitures, and spin mergers, HPE is a smaller, more focused company. What are they focused on? In marketing speak, HPE is focused on hybrid IT, apps & data, and the intelligent edge. In other words, they’re still selling hardware and software under brand names many IT folks are familiar with. In fact, it doesn’t seem like HPE’s portfolio of hardware and software has shrunk all that much. There’s still ProLiant, 3PAR, Nimble, HCI, blade systems, Superdomes, OneView, and so on. And let’s not forget the networking portfolio unified under the Aruba brand, which now includes the ProCurve product line. In a cloud world, does it make sense for a leaner, meaner HPE to march ahead as an infrastructure company? HPE argues, “Yes.” Companies still need infrastructure. Cloudbuilders need infrastructure. Just because you don’t have to buy a server to run a workload in AWS doesn’t mean your workload isn’t running somewhere physical. Therefore, HPE has chosen to be “all in” supplying infrastructure to the world. Well, sort of. Storage is about a lot of things, depending on your point of view. 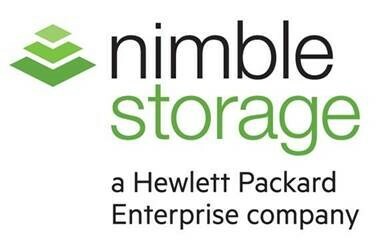 Nimble’s—and now HPE’s—unique storage offering is about predictive analytics. In other words, it’s the software that’s interesting because it’s taking on the job of helping a business get the most from their storage. HPE likes this approach so much that Nimble’s software is likely to make it into other HPE storage offerings, such as 3PAR. In Nimble Storage parlance, predictive analytics comes under the branding of Infosight. Perhaps you just yawned a bit, unimpressed at whatever it is a fancy storage array can do, because on-premises infrastructure is so last week. I mean, hey–you’re all about the cloud. Well, right. Of course you are. And Nimble Storage knows that. They also know that storage creates some interesting problems for cloud computing. To address these issues, Nimble has created their Cloud Volumes product, recently moved from beta to production. What are Cloud Volumes? Cloud Volumes are a cloud storage product focused on helping enterprises move their business applications to the cloud. In what way? By bridging the gap between enterprise-grade storage and typical default cloud storage offerings. In other words, Nimble is making sure that applications moved from on-premises to public cloud don’t end up with a storage subsystem incapable of serving the application. For example, clustering applications and sharing data between applications, i.e. situations where storage volumes need to be shared, isn’t something the public cloud is all that good at yet. And that makes it difficult to complete that application move. Another challenge is the data gravity problem, where moving data out of the cloud is 3x to 5x more costly than moving data into the cloud. Cloud Volumes is a pay-as-you-go cloud storage service built on Nimble hardware and software, although customers don’t have to care about the underlying specifics. Customers just subscribe to Cloud Volumes and benefit from features like Infosight predictive analytics. How are Cloud Volumes accessed? Cloud Volumes are not stored inside of the AWS or Azure clouds, but are near them. In other words, the Nimble Cloud Volumes product is its own storage cloud positioned closely (read “low latency”) to public clouds you’re probably using. That helps address the data gravity problem as well as some storage functionality challenges. To use Cloud Volumes, customers buy the capacity and volume they want, get the enterprise class features expected from an on-premises storage array, and treat them like a local storage array. Cloud workloads mount an iSCSI LUN via the nearby Nimble storage cloud. That volume can be mounted from multiple clouds at a time if desired. Nimble also points out that if you’re already a Nimble Storage customer with a physical array on-premises, then Cloud Volumes integrates. You can replicate data between your local array and Cloud Volumes. Moving data into or out of a Cloud Volume does not incur an extra charge–no data gravity tax. There might not be a data gravity tax, but there’s still a cost to consider. After all, there’s iSCSI network traffic you’ll be paying for as it goes to and from your public cloud workload. However, paying for network traffic to Cloud Volumes is less costly than exporting data from, say, AWS S3. Nimble suggests that the “tax” on the iSCSI network traffic is in the 20%-30% range vs. storing the data within the public cloud. What does Nimble charge for? Nimble only charges for storage space and IOPS—you get all the resiliency features of the platform without getting licensed to death. That said, buy the capacity and performance you need, performance especially. IOPS are capped and not burstable. If you hit the limit, you’ve hit the limit. Hello, storage latency! To be clear, it’s not hard to add more IOPS—just launch the GUI, add what you need, and you’re done. However, infrastructure needs have a funny way of presenting themselves in the middle of the night. On a weekend. While you’re on vacation. Don’t underestimate your IOPS requirements under peak load conditions. Infrastructure isn’t dead. Infrastructure can’t be dead. In fact, infrastructure will never die. If you take those assertions at face value, then you might think that enterprise IT isn’t changing, and maybe will never change. Public cloud consumption tells a different story. A nuanced story, but a somewhat different story. Public cloud is being consumed by the enterprise. Perhaps it’s not complete applications being moved yet, at least not all that often. Perhaps the average enterprise is more interested in SaaS right now. And maybe enterprises with software products are using public cloud IaaS for dev and test environments rather than heavy-hitting production workloads. But still, public cloud is being consumed. Therefore, enterprise IT is, in fact, changing. Will all the small data centers in the world shut their doors in the next year or two? Hardly. But as enterprises grow their public cloud expertise, enterprises will need to be able to clearly articulate to themselves where public cloud makes sense. I predict that public cloud expertise will come fast and furious to the enterprise, as AWS education and certification programs follow the path paved by vendors like Cisco. If you teach them, they will come. Many infrastructure engineers are seeing the end of their careers through the murky fog of the future and are working actively to prepare themselves for what’s next. And what’s next for enterprise infrastructure includes a heaping helping of cloud, AWS leading the way. With the technical objections to public cloud adoption starting to fall down, concerns turn to architecture. How do you get application X running in the local enterprise on traditional infrastructure moved into the public cloud? Or do you? Some applications just aren’t a good fit for the cloud. Others might be a good fit if they are re-tooled to be cloud-native. Others might port right over with little issue today, as some app vendors are repackaging their apps for cloud environments. For the applications that seem to be good candidates for the cloud, how will the cloud provide the same level of performance and resiliency that the apps enjoyed hosted on traditional architecture? It is here that legacy vendors of all sorts of enterprise IT infrastructure products, including storage, need to re-think what they are offering to their customers. In the case of HPE Nimble Storage Cloud Volumes, the answer is that they’ve re-thought their solution, from a cloud consumption perspective. Yes, it’s a recycling of their technology. The hardware is Nimble. The software is Nimble. All that’s new is the GUI used to consume the volumes and the physical hosting. It’s not a complete answer yet, as Nimble doesn’t even offer an API, although they promise one is coming. But what they have done is stay ahead of customer requirements in a compelling way. Customers need storage. Public cloud storage is both a data gravity prison and a different beast that’s not operated like traditional enterprise storage. That represents a market opportunity Nimble has addressed. Cloud Volumes liberates data by controlling costs while at the same time offering enterprise-class storage features. That’s a smart play, indicating that hard questions were asked and costly answers were committed to. The result is a brand new service that will hopefully both keep their existing customers in the fold and add new ones. However, there’s a peril hidden here—this sort of solution is easy to imagine and, with sufficient funding, execute. There’s nothing stopping others from creating an enterprise-class, cloud-based storage service. Assuming others do exactly that, the market races to the bottom, with customers comparing more or less identical services while staring carefully at the pricing. Any race to the bottom is a volume game. Will Nimble have enough customers for this to be a profitable operation? That’s a very hard question to answer. Yes, enterprises are moving, however slowly, to cloud. But when they do move to cloud, will they need Nimble Cloud Volumes in every case? Probably not. Oh, and let’s not count out the public cloud operators. They have a straightforward way to solve the data gravity problem–just turn the pricing knob left until customer decide it’s not worth it to go elsewhere. Yet another question is what happens when enterprises get smarter about cloud-native apps instead of replicating the technology museum they call “data center” today? Does Cloud Volumes then look like a short-term product filling a gap that, left to its own devices, will ultimately fill itself? Don’t get me wrong…enterprises move slowly. The question is whether or not enterprises move slowly enough for Nimble’s Cloud Volumes to become a profitable product for HPE. Thank you for the very informative acticle.